"Drink triple, see double, act single"
Vang Vieng is like 'The Beach', but without beach. Take the river banks of the Nam Song (River) for it. 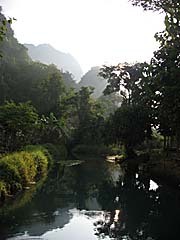 Vang Vieng has magnetic power for people of the kind you see in the movie 'The Beach' (based on Alex Garland's novel). Young, superficially, hedonistic, politically uninterested people, looking for the kick they call freedom, ending up in booze and drug debaucheries. Busloads of backpackers arrive here every day, on the way from Vientiane to Luang Prabang or vice versa, having a stop here for a couple of days, or, changing their mind, for the rest of their trip. Do you remember Richards words that the beach was 'a beach ressort for people who don't like beach ressorts'? 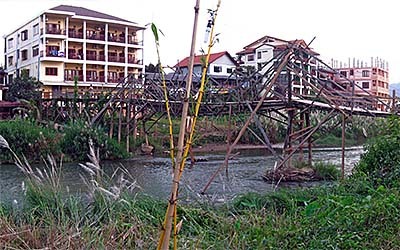 Vang Vieng is a tourist destination for people who don't like the common tourist destinations. Vang Vieng is different. Vang Vieng is unique. You don't find another place like this anywhere else on earth. And still it's mainstream. The scenery for that are bars and restaurants, 'special bars' with funny drug menus and a lot of crap shops. The further surroundings are magnificient limestone mountains, rice paddies and the Song River, who promises fun in the water. Oh, I should mention the local hospital as well. Every year a great deal of the adolescents (or no more adolescent, at least by age) end up there for indulging far beyond their limits. Others are send back to their countries in a coffin. But there is more to say about Vang Vieng. 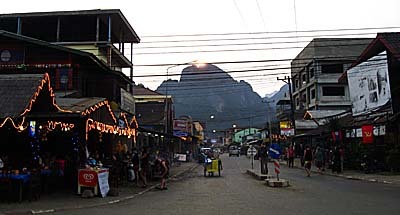 Vang Vieng was a settlement from the mid 14th century on. It served in the medieval kingdom of Lan Chang as a post between Luang Prabang and Vientiane. It's name in the old times was Mouang Song; the name Vang Vieng was given to it during the colonial time in around 1893, when Laos became fully incorporated into French Indochina. 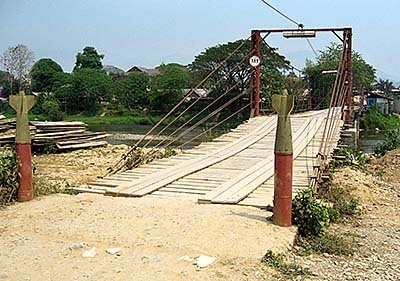 The only bridge over Nam Song (river) in the village which is good for bigger vehicles. They charge toll every time one is crossing it. It might have been a French base for the traffic between Vientiane and Luang Prabang again. The brilliant English travel author Norman Lewis described Vang Vieng in his travel narrative 'A Dragon Apparent'. Lewis was here in 1946. The area wasn't safe and he was travelling in a French army convoy. They made a stopover in Vang Vieng. Lewis depicted the limestone mountains around with deep admiration. 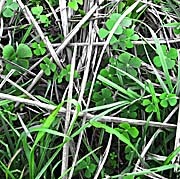 The nature around the place is still phantastic, alone, there is a considerable impact on whom I come to speak later. The village and it's infrastructure was made up in the time of the American Vietnam War (Second Indochina War). The Americans built an airstripe and an airforce base next to it (1964) and used it for operations in Laos and north Vietnam. The airstrip was called 'Lima site 6'. Do you know the movie 'Air America' (1990) with Mel Gibson? That's such a story; though the movie story was placed in Long Cheng, the biggest airport of Southeast Asia in this time, completely secret and appearing on no map except secret CIA maps. In 'Air America' also appears the famous quote of Richard Nixon in a 1969 speech shown in TV: "There are no American combat forces in Laos". In the years after the Vietnam War Laos was a 'forgotten country', isolated from the world and few news made it from Laos to outside the country. From 1991 on Laos opened for tourism, and since then the annual arrivals were rising. 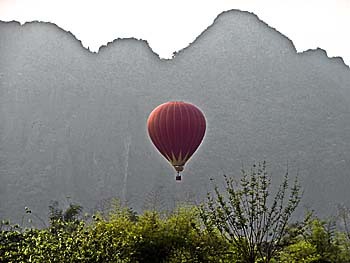 In 1996 there were 1,380 visitors in Vang Vieng, in 2000 26,000 and in 2011 148,000 visitors. That thoroughly affects little Vang Vieng. It started growing with the tourism and it seems no more to stop growing. 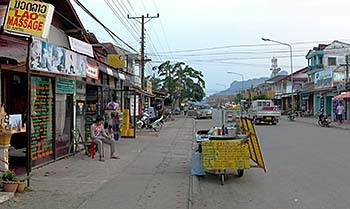 Particularly around the National Road 13, connecting Vientiane and Luang Prabang, building activities are enormous. From the main road more and more side roads split off, from them other sideroads and the net get's denser and denser. So, the old Vang Vieng with it's wooden and really simple houses has just disappeared. In 2006 it was still there, now the whole place is made up new. At the same place are now up-to-date concrete buildings, all of doubtful quality. And the place expanded for a few kilometers to the south, parallel west of the airstripe where two parallel roads are now the backbones of a small streetnet. This all is still not big. It's the tourist core of the place. The most tourists who come here are backpackers. The backpackers of our time. The two main roads are tilled with guesthouses, bars, restaurants, travel agencies, crap shops, a few more expensive hotels meanwhile, and it's growing every year more and more. Also outside the tourist center the place spreads out in a high speed. There are a few temples in Vang Vieng, but almost none of the tourists here is the slightest bit interested in them. The only attractions are the booze and the surroundings. As touristic Vang Vieng itself is, the even closer surroundings are little touched by tourism. The villages remain in their Laotian style. Nevertheless there is change there as well. The general economic boom of Laos leads to a severe change everywhere. The old, traditional, simple wooden houses change to concrete houses with tin roofs. More and more vehicles can be afforded by the locals and traffic increases. Finally more and more buildings are erected and the dirt roads get paved. New dirt roads are built therefore. Generally spoken are the surroundings of Vang Vieng coined by the fantastic limestone mountains with their zigzag silhouettes west of the place. East of it are 'common' mountains with moderate shapes and forests on them. The Nam Song (River) is passing by and gives the village water supplies and serves as a wastewater drain. The Nam Song is fed by a lot of tributaries who come out of the mountains, in many cases out of fairy-tale like caves where one can swim in deeply and where it is pit dark. Coming out of the mountain the water often appears in a turquoise colour. 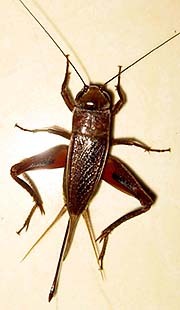 There are great many animals and plants living in the mountains and also in the plains. 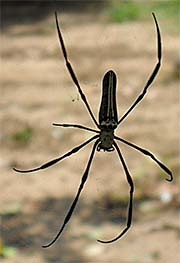 A lot of species who are to see here I haven't seen elsewhere in Laos or anywhere else in general. Particularly in the rainy season the animals are vibrant, while wildlife in the dry season is much more hidden. Until two years before there were still sometimes the sounds of gibbon monkeys to hear in the mountains. Since the locals eat anything they can catch, they are highly endangered. Tourist Vang Vieng is backpacker oriented. 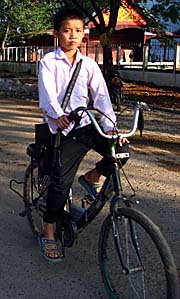 In main season backpackers dominate the two main roads, Laotians are rather a minority on the streets. 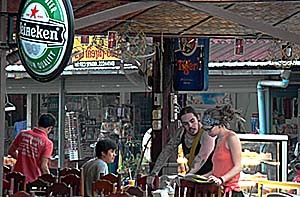 The locals make good business with the mostly western backpackers in the restaurants and bars. Bizarre to see that some of the bars offer comfortable low seats and cushions, all targeted to the two TV screens who dominate the space and where non-stop American sitcoms run ('Friends' and others and a lot of cartoons and music videos). The western audience stares at the screens like under hypnosis. 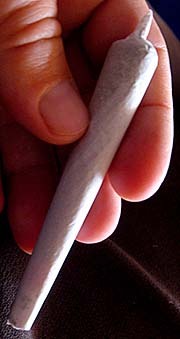 A pecularity of some bars in Vang Vieng is the offering of marihuana, magic mashrooms, opium and different other drugs, sometimes in a strange combination. 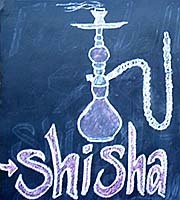 They are openly advertised on the 'second menu'. That turns Vang Vieng for some travellers into an 'Alice in wonderland' experience. One of the bars at the riverbank was called 'FU BAR'. That meaned, as a sign in the bar explained, 'Fucked Up Beyond All Recognition'. But the thrill is not only due to the booze and the drugs. There is a certain euphoria around here among the young backpackers. It's a feeling of a complete absence of rules and responsibilities, a sense of a child who is in a toy shop and can take what it wants and nobody can stop it. So, Vang Vieng sells joy, it sells an illusion of total freedom, that's part of the thrill. Another main attraction is tubing in the Song River. Tubing means swimming on inner tubes of lorry tyres. Therefore the tubers are carried a few kilometers upstream, where are more bars placed at the river banks. From there the tubing follows the river downstream back to Vang Vieng. Since drinking before and while tubing seems immensely attractive, many accidents happen, particularly in the rainy season, when the river's current is pretty strong and there appear series of rapids. In 2011 reportedly 22 tourists died in Vang Vieng, mostly due to the combination of drugs, booze and river activities. Other sources speak of 27 deaths and more, for not all the deaths are correctly reported. If one is high and think he/she could fly, and the river looks so deep, but it's just the reflection of the sky and the water is in fact only 30cm deep at this point, it's a severe mistake to dive head-first in there from the bridge, from a tree or a swinging rope. You might need your head once more again in your later life. Not all of those who misinterprete the situation die, many come along with more or less heavy injuries. One girl lost most of her face skin when jumping into the river and bruising along a rock's surface. Boozing Westerners are also not the verybest role model for the local youth. They are bad enough without western influence, no need to top them. So, since Vang Vieng has this bad reputation as a drug place, the Laotian government started programms addressing tourists how to behave properly in Laos (Concider: They don't do that in their home countries, why should they start here?) and Laotians to stick to their own culture (that is boozing limitless the local rice whiskey 'lao lao' and listening to earpiercing disco and karaoke music, so far I see). 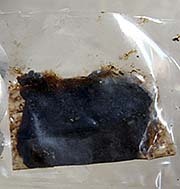 In the second half of 2012 reports in the internet and the international press claimed that the Laotian government would have performed a shutdown of all the drug activities in town, closing 24 bars. Besides tubing activities were ceased. I can not conform that by my own experience now, in March/April 2013. Everything is here as it was before, except that all the river bars have been gone. Maybe there was a temporary shutdown here and there, but there are established business interests behind the activities in Vang Vieng, and once established, such businesses remain strong with the help of bribing money. Officials and police are paid off. And as it is always the case, the most powerful families of the place own most of the best running businesses. They have influence and contact to the local politicians, if they are not themselves both businessmen and politicians, with good relations to and family members in the police, as usually; cronyism happens everywhere in Southeast Asia. And in the 'rest' of the world. If the government really stops the drug activities here completely, the attraction of the place is gone, and less tourists will come. I guess barely a local in Vang Vieng really want's that. The bars themselves represent a strange mixture between still rather traditional architecture and furniture and shrill postmodern 'anything goes' interiour. 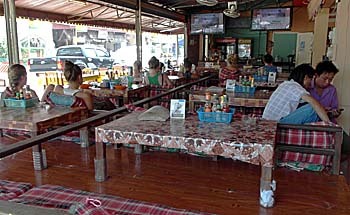 There are the pubs/restaurants with or without TV screens with their low tables and where one is sitting on a kind of bench on a thin mattress and cushions. They all have what in common: it's noisy in there. If it is not the comparatively moderate TV noise, then it's probably loud music. That's a big loss, because for Vang Vieng is so small, there it would be worth to listen to the noises of the natural surroundings. But that's all hammered down by big loudspeakers. Watching the totally careless behaviour of many western visitors I can tell they'll give the locals a hard time. Bar live is mostly on teenager level and there are also conflicts between Westerners and Laotians. But, on the other hand, I met over the years a great deal of interesting people in Vang Vieng and can not say that they are all so empty-headed. Most interesting are the ones who travel alone - they get the deepest approaches to a country. 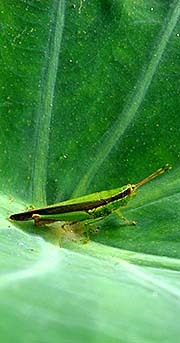 The people who are travelling in groups appear therefore mostly like locusts. Well, there are a few more things to do in Vang Vieng than to flush the liver. 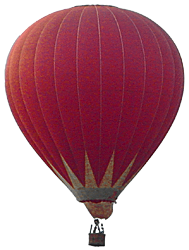 Trekking, rock climbing, cycling, swimming, caving and ballooning are more activities for the visitors. I personally love to walk a few hundred meters into the rice paddies west of the Song River and make my hammock up in one of the peasant's shacks to read there hours over hours. 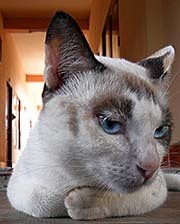 It's quiet, the mountains are close and phantastic and, being quiet myself, animals approach without taking care of me. I have never seen anybody else doing that here. Conspicious is the fact, that at almost every cave, every waterfall, almost every bridge is a ticket box and the arrival is charged entrance. How does that come in contrast to Thailand and Malaysia, where you can enter almost any cave and waterfall for free? Well, I think it's not organized by the local authorities. It's done wildly. Families who live nearby decide to open up a ticket booth for their own sake. And who will prevent them? Ask them for their 'official permission' to run the booth. They won't even understand the question. But they want you to pay - they take that very serious. All the huge concrete consumption for the construction activities mentioned above demands it's tribute. 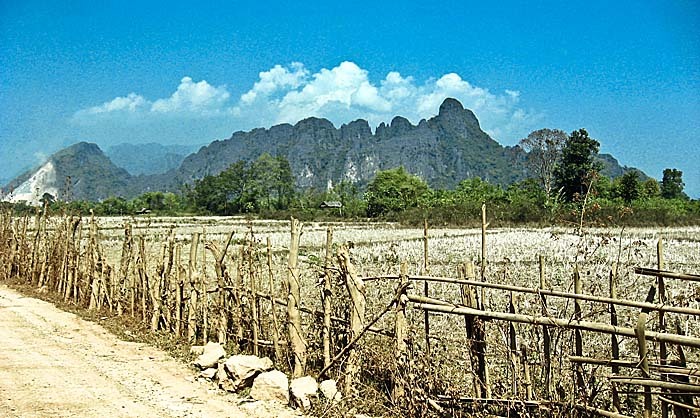 A bit southwest of Vang Vieng, in the scenic limestone mountains are the industries digging. The limestone is a great rare material for concrete. Whole mountains disappear for the sake of the big concrete factory just four kilometers south of Vang Vieng, well to see when passing by on the national road 13 to or from Vientiane. Sometimes, in the background, the sound of big explosions are to hear in Vang Vieng. Then there is another part of a mountain solved and made ready for transport. The trucks on the sideroads are going to and fro the cement factory all the time. They are noisy, dangerous, ugly, block the road and make up huge clouds of dust in the dry season, whereas in the rainy season they splash a lot of dirt around. The river's water quality is affected by the influence of waste water from the local households and by plastic and other rubbish thrown into it. The river is also abused as a washing place for cars and trucks, who are polluting the water with oil and petrol and other dirt from the roads. The surroundings and the village are pested by vehicles who produce fume and huge dust clouds, particularly in dry season. Additionally the forests in the mountains and the fields burn every year in great scale. Laotians are used to burn their litter as well, including plastic - so far they don't drop it just where they are at the moment they want to get rid of it. I have seen a burning lorry tyre in Vang Vieng in 2011, in a neighbourhood with small houses, gardens, where the children play and all the houses are open. A black pillar of smoke made it's way through the neighbourhood. That's accepted behaviour here. Much worse even than that is the slash-and-burn habit the Laotians have in common with their fellow peasants in the neighbouring countries. Huge parts of the forests get burned every year in the dry season between February and May/June. Only the rainy season stops the destructive activities. The air is thick with smoke and the general well-being is affected. Not to mention what it means for an annual loss of animal life to burn in huge style. For more on that read the article on 'Air Pollution in the Golden Triangle and around'. Last but not least is the place pested by heavy noise pollution. Noise pollution is coming from the classic, the motorized traffic, but also from the loud music out of the bars, penetrating many guesthouses. Worst seems to me the massive noise from the building sites. Everywhere are building sites. 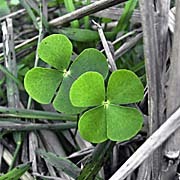 They need a long time to proceed; if one is ready, another one started already. I know a place here where are three building sites around, and they hammer and saw all day with their electrical metal saws. That makes a shrill, ugly din.